Only two athletes won medals competing for Luxembourg in the Summer Olympics: weightlifter Joseph Alzin, silver in 1920, and runner Josy Barthel, gold in 1952. In the late 20th-century, it was discovered that runner Michel Théato was actually Luxembourgish. Théato competed for France at the 1900 Summer Olympics, where he won the gold medal in the men's marathon. The medal is still credited to France by the IOC. Luxembourg first competed at the Winter Olympic Games in 1928, and has taken part in a total of seven Winter Games. Thus, despite having been one of the earliest countries to take part, Luxembourg has competed in relatively few of the Games. In the seven Games, Luxembourg has won a total of two medals: both silver, and won by Marc Girardelli in 1992. After Luxembourg's first appearance, in St. Moritz, and the country's second appearance, at the 1936 Games in Garmisch-Partenkirchen, Luxembourg did not compete at the Olympics for another five decades. As a low-lying country, whose highest peak (the Kneiff) lies only 560 metres (1,837 ft) above sea level, Luxembourg had little pedigree in most Winter Olympic sports. However, the naturalisation of Marc Girardelli, an Austrian-born alpine skier, saw Luxembourg return to the Games in 1988. In the following Winter Olympics, in 1992 in Albertville, Girardelli won Luxembourg's first two Winter Olympic medals, scooping silver in both the Giant Slalom and Super G.
Neither Girardelli, nor Luxembourg, has won another Winter medal since 1992, but the country's return to the Winter world stage has been maintained by the appearance of two ice skaters in subsequent Games: Patrick Schmit in 1998 and Fleur Maxwell in 2006. Luxembourg qualified for the 2010 Winter Olympics two athletes but did not participate because one did not reach the criteria set by the NOC and the other was injured before the Games. "Results and Medalists — Luxembourg". Olympic.org. International Olympic Committee. Michel Johann Théato was a Luxembourgian long-distance runner, and the winner of the marathon at the 1900 Olympics in Paris for France. He was born in Luxembourg City, Luxembourg and died in Paris, France. Alpine Skiing at the 1984 Winter Olympics consisted of six alpine skiing events, held 13–19 February in Sarajevo, Yugoslavia. The men's races were at Bjelašnica and the women's at Jahorina. Due to weather delays, both downhill races were postponed several days and run after the giant slalom races. One athlete from Luxembourg competed at the 1900 Summer Olympics in Paris, marking the first Olympic appearance by the nation. Brazil first participated at the Olympic Games in 1920, after missing the previous five Summer editions. The country has sent athletes to compete in every Summer Olympic Games since then, except for the 1928 Games. As of 2016, Brazilian athletes have won a total of 129 medals in 15 different Summer sports. 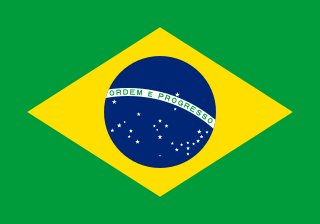 Brazil has also participated in the Winter Olympic Games since 1992, though to this date no Brazilian athlete has won an Olympic medal in winter sports. The country's best result at the Winter Olympics was a ninth-place finish achieved by snowboarder Isabel Clark Ribeiro at the 2010 Winter Olympic Games. Since Brazil is mostly a tropical nation, the country's most important results so far have been achieved at the Summer editions. Luxembourg competed at the 1988 Winter Olympics in Calgary, Alberta, Canada from 13–28 February 1988. It had been 52 years since the last time the nation had participated in the Winter Olympic Games, and Calgary was only their third appearance at a Winter Olympics in history. The Luxembourgian delegation consisted of a single alpine skier, the Austrian-born Marc Girardelli. His best performance was 9th in the downhill race, and Luxembourg did not win any medals at these Olympics. Luxembourg sent a delegation to compete at the 1992 Winter Olympics in Albertville, France from 8–23 February 1992. This was Luxembourg's fourth appearance at a Winter Olympic Games. The Luxembourgian delegation to Albertville consisted of a single athlete, alpine skier Marc Girardelli. He won two silver medals at these Olympics, which placed Luxembourg 17th on the medal table. Luxembourg sent a delegation to compete at the 1994 Winter Olympics in Lillehammer, Norway from 12–27 February 1994. The nation was making its fifth appearance at a Winter Olympic Games. The Luxembourgian delegation to Lillehammer consisted of a single athlete, alpine skier Marc Girardelli. His best performance in any event was fourth in the Super-G; he also finished fifth in the downhill and ninth in the combined. As well, he failed to finish the giant slalom, and was disqualified from the slalom. The Philippines sent a delegation to compete at the 1992 Winter Olympics in Albertville, France from 8–23 February 1992. 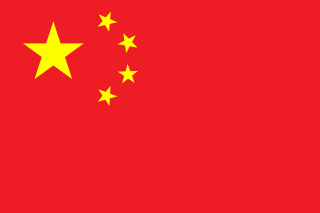 This was the nation's third appearance at the Winter Olympic Games. The delegation consisted of a single athlete, alpine skier Michael Teruel. He competed in both the giant slalom, where he finished in 71st, and in the slalom, in which he finished in 49th. Swaziland competed in the Winter Olympic Games for the first time at the 1992 Winter Olympics in Albertville, France from 8–23 February 1992. The Swazi delegation consisted of a single competitor, the alpine skier Keith Fraser, who competed in the slalom, where he failed to finish the first run; in the giant slalom, where he came 63rd; and in the Super-G, finishing 79th. 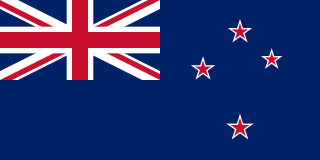 New Zealand first competed as an independent nation at 1920 Summer Olympics. Prior to this at the 1908 and 1912 Summer Olympics, New Zealand and Australia athletes competed together in a combined Australasia team. New Zealand has also participated in most Winter Olympic Games since 1952, missing only the 1956 and 1964 Games.